Here’s my take on the 10 most significant and interesting occurrences during the past week……….. Feds differ on fuel economy rules: It appears that the Environment Protection Agency and the National Highway Traffic Safety Administration are taking different approaches to working with the new administration on the fuel economy and emissions regulations; it may also signify the Obama administration supporting the standards but encouraging flexibility with automakers on how it’s all carried out. Last week, the EPA told lobbyist group Alliance of Automobile Manufacturers that the midterm review deadline won’t be extended beyond the Obama administration leaving office. That agency’s decision was expected by auto lobbyists who had appealed the EPA’s earlier ruling. 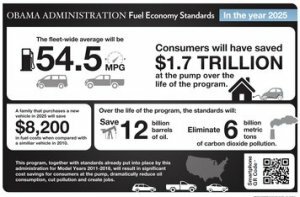 About that time, NHTSA responded to a petition from groups representing automakers postponing the increase in penalties for noncompliance with the fuel economy standards. That increase would have gone back to 2015 model-year vehicles, but the amended version begins with 2019 model-year vehicles. In a separate decision, NHTSA granted a request for a formal rule-making process to be put in place – to resolve differences between greenhouse-gas standards overseen by the EPA and the fuel-economy standards administered by NHTSA. The penalty increase had comes from a law enacted last year for all federal agencies to raise penalty fees as a deterrent and to keep up with inflation. VW van: In teaser photos sent out with a brief announcement, Volkswagen said that it’s now designing the second electric vehicle in the I.D. family. This one may be closer to a classic VW van or microbus, and is said to be “a multi-functional vehicle for a new era” that “links between the legendary origins of the Volkswagen brand and its electrifying future.” Like the I.D. sedan concept launched at the Paris Motor Show, it’s based on the Modular Electric Drive Kit (MEB). The German automaker says that I.D. can stand for purity in design language, and for a new generation of fully connected, all-electric vehicles from the company. Drivers will have a fully autonomous vehicle where the steering wheel retracts into the dashboard; and laser scanners, ultrasonic and radar sensors, and cameras monitor other vehicles and the electric VW’s surroundings. It’s another step in the automaker’s post-“Dieselgate” vehicle electrification strategy; and it’s scheduled to be revealed in more detail next month at the Detroit Auto Show. Tesla wins owner survey: Tesla Motors won the owner satisfaction brand award from Consumer Reports’ readers for the second year in a row. For those taking the survey, 91% of Tesla owners said they would buy their Tesla vehicle again, while 84% of No. 2 Porsche owners would buy that same vehicle again. Tesla, Porsche, Audi, and Subaru remained in the top four spots from last year. In October, Consumer Reports recommended that Tesla resolve two structural issues in its Model X electric SUV – including problems getting the Falcon Wing doors to work correctly. Tesla owners who took the survey seemed to be less concerned about it than did Consumer Reports’ editors. DOE grants on alternative fuels: The U.S. Department of Energy has announced more than $18 million in grants awarded supporting vehicle electrification, propane direct injection, and other alternative fuels. Odyne Systems will receive $2.9 million to develop and demonstrate plug-in hybrid work trucks (class 7) that reduce fuel consumption by more than 50 percent and eliminate fuel consumption during stationary operations. Blue Bird Corp. will receive $4.9 million to develop and demonstrate a battery-powered electric school bus that improves propulsion energy efficiency by 20-30 percent and that can connect to the electric grid (vehicle-to-grid). Blossman Services is being awarded $2 million to develop a 4.3L propane direct injection engine and emission control system that will be demonstrated on a package delivery vehicle. PacifiCorp will receive $3.9 million to accelerate electric vehicle adoption by developing electric highway corridors along I-15, I-80, I-70, and I-84 in Utah, Idaho, and Wyoming. Gas Technology Institute (Des Plaines, IL) will receive $4.9 million to deploy multi-fuel stations (including electric vehicle charging stations, compressed natural gas, biofuels, and propane stations) and alternative fuel vehicles (including electric drive) along I-94 from Port Huron, Michigan to the North Dakota border. 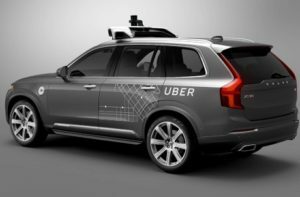 Uber moves to Arizona: Uber used flatbed trucks, managed by its Otto subsidiary, to transport 16 Volvos used in its self-driving car test project from California to Arizona. While Otto specializes in running self-driving commercial trucks, it appeared that these trucks were operated by drivers. Uber’s move came after California’s Department of Motor Vehicles revoked the registration of the ride-hailing company’s self-driving cars because the company refused to get the $150 permits for testing autonomous cars that the state requires. Arizona Gov. Doug Ducey invited Uber to cross state lines on Wednesday and Thursday, including through a social media campaign; on Thursday, Uber left California for Arizona. There may be more than 16 self-driving vehicles that will be tested by Uber in San Francisco, and the company hasn’t provided a date on when testing will begin in Arizona. Sustainability report: Waste Management this month released its annual sustainability report, which announced that the company recycled and composted more than 14 million tons of materials from the waste stream in 2015; and as a company, Waste Management is a net greenhouse gas reducer. Its fleet uses more 5,100 natural gas vehicles, which the company says is the largest fleet of its kind in North America. The company reported using technology at landfill-gas-to-energy facilities to power the equivalent of 470,000 households, offsetting 2.5 million tons of coal per year and 2.5 million tons of carbon dioxide emissions per year. You can view the report here. Honda and Waymo discussing self-driving cars: Honda Motor Co. has been in talks with Google’s new self-driving car unit, Waymo, to test out some of the technology in Honda’s vehicles. Both companies said that it’s a research project and not a development deal for full-production vehicles. Honda may go beyond the preliminary phase to provide Waymo with vehicles that are modified to run the self-driving system; those Honda vehicles would join the existing Waymo fleet currently being tested in four U.S. cities. Honda follows FCA in making a self-driving vehicle test program. Michelle Krebs, an analyst at Cox Automotive’s Autotrader.com, sees Google and Apple more likely to enter technology partnerships with automakers rather than face the capital intensive and demanding regulatory clearance that vehicle manufacturers must go through. Land-fill free target: General Motors has beat its landfill-free target four years early. In 2011, the automaker had set a goal to operate 150 landfill-free sites by 2020. This year, it added 23 of these sites, and now has 152 facilities globally that send zero waste to landfills. The company accomplished this through recycling used water bottles into engine cover insulation and recycling grinding wheels as sandpaper, among other initiatives. GM also partnered with Herman Miller and Green Standards to repurpose and recycle tens of thousands of pieces of office furniture and equipment. Hydrogen stations growing 10-fold: Nikola Motor Co., which operates hydrogen fuel cell semi-trucks, will be rolling out a nationwide network of hydrogen fueling stations that will be accessible to other fuel cell vehicles. That would increase the U.S.’s present status of 33 hydrogen stations more than 10-fold to 364 more stations built by Nikola. This infrastructure network will begin construction in a year, in January 2018, and will begin opening in late 2019, according to CEO Trevor Milton. Toyota, Honda, Hyundai, Mercedes, and other automakers developing fuel cell cars, will be very interested in seeing this happen. VW ride-hailing in Africa: Volkswagen has added a ride-hailing service in Rwanda as part of its mobility services, and to access a market that Uber hasn’t yet gained presence. Uber operates in several African countries, including Kenya where it launched in early 2015 and now faces competitive pressure from local companies. VW is working hard at expanding its electrified vehicle offerings and mobility services as it emerges from the “Dieselgate” scandal. Rwanda is thought to be a less competitive market, and a good one for VW to establish its presence in the region. The German automaker has been active on the ride-hailing front this year, having invested $300 million in Gett. Plug-in sales trends and new car launches: Plug-in hybrid was the top-selling category over all-electric vehicles in 2016, which switched over a sales trend that had been led by the Tesla Model S and Model X, and Nissan Leaf, in all-electric vehicle sales. The revamped 2016 Chevy Volt has been the top seller in the U.S. and the Ford Fusion Energi nearly doubled its sales in November over the previous year. The Mitsubishi Outlander PHEV has been leading the electric vehicle market this year in Europe, beating the Renault Zoe and Nissan Leaf. The all-electric Chevy Bolt has been taking center stage lately as it rolls out to dealers in California and Oregon, and the rest of the country next year. The 238-mile per charge EPA rating, and $37,496 pre-incentive price have driven the enthusiasm and interest. Earlier this year, Tesla Motors unveiled its 200-mile plus, $35,000 Model 3 in the spring, and started taking $1,000 down payment pre-orders; over 400,000 consumers opted in by summer time. The Bolt vs. Model 3 race has become more significant and news worthy than the Nissan Leaf vs. Chevy Volt launches in late 2010. Both General Motors, and especially Tesla, are gearing up for production levels beyond what’s ever been seen in plug-in sales. The Model 3 forecast is much bigger than that of the Bolt with 100,000 units planned for 2017 and 400,000 units in 2018; but there’s always the possibility that GM will scale that up to stay competitive. The Chrysler Pacifica Hybrid (plug-in hybrid) was significant for the being the first electric minivan, and for being the first time Fiat Chrysler Automobiles has taken a plug-in vehicle all that seriously. The Fiat 500e has been a “compliance car” to meet California’s ambitious and strict zero emissions vehicle targets, with only a small volume produced and sold in the state. FCA has been showcasing the Pacifica Hybrid at the LA Auto Show and other events, while the gasoline-engine Pacifica been highly visible in billboard ads and online campaigns. FCA’s decision to launch the plug-in hybrid version along with the gasoline-engine version shows that automakers see utility vehicles (especially crossover SUVs) being very important for increasing plug-in sales. The Honda Clarity Fuel Cell represented a step forward for hydrogen fuel cell vehicles, and for a standalone green car product line. Like the Prius being offered in four technologies (including the refreshed Prius Prime plug-in hybrid), the Clarity will later come out in all-electric and plug-in hybrid versions. Honda sees the Clarity as its brand offering three electric variants, with the first one, the Clarity Fuel Cell, having the best mileage in its class. The Clarity Fuel Cell has 366 miles of range in the EPA rating, which beats the Toyota Mirai and Hyundai Tucson Fuel Cell. This car faces the challenges of all fuel-cell vehicles: limited fueling stations beyond California, and making the big leap to get car buyers to take the new technology seriously. Electric vehicles are making strides forward beyond early adopters, but that’s taken nearly six years through what is now a wide range of product offerings, charging infrastructure improvements and expansion, competitive pricing, and hands-on experience with the technology. The unexpected victory of the Trump campaign will take a while to be sorted out for advocates of clean transportation and energy. Trump’s nomination of Scott Pruitt to the Environmental Protection Agency was the first blow, along with the impression gained that the 54.5 mpg by 2025 phase two period for 2022-25 vehicles would be postponed and softened. Pruitt and other agency appointments have been distressing for environmental and cleantech groups. The latest news has included acting EPA Assistant Administrator Janet McCabe telling the Alliance of Automobile Manufacturers in a letter that the agency won’t be extending the deadline for a review of the fuel economy and emissions standards. National Highway Traffic Safety Administration has gone in the other direction – that enforcement agency is postponing the enforcement of the rules starting with 2015 model year vehicles to the 2019 model year; and NHTSA will allow for more input from automakers in the rule-making process on clarifying discrepancies between the greenhouse gas emissions standards regulated by the EPA and the fuel-economy standards enforced by NHTSA. Automotive executives, including Tesla CEO Elon Musk, are taking a business-first approach to dealing with the Trump administration. Musk, along with GM CEO Mary Barra and Uber CEO Travis Kalanick, accepted Trump’s invitation to participate in a Strategic and Policy Forum that frequently will advise him on economic issues and jobs growth. Some cleantech and clean energy analysts expect to see growth in solar and wind power, vehicle electrification, alternative fuels, battery energy storage, and energy efficiency, during the Trump years. There’s been substantial growth in these technologies in recent years, along with more acceptance and interest from end users; government incentives and policies may not be as important as they were during the Obama administration. There’s also stringent mandates, and generous incentive programs, still in place in Europe and Asia, that will support growth in vehicle electrification and renewable energy. The Volkswagen court settlement on October 25 has gained a great deal of interest in the clean transportation community. To address the excessive NOx emissions from Volkswagen’s diesel cars, $2.7 billion has been allocated to fund the Environmental Mitigation Trust (EMT). The portion of the settlement to reduce NOx exposure and air pollution allows for each state to allocate EMT funds within court settlement guidelines; it’s based on the number of VW diesel vehicles sold and registered in those states and will be spent by VW over a 10-year period. Of that total, $2 billion will go to supporting zero emission vehicles. Of that $2 billion, VW will invest $800 million in California and $1.2 billion throughout the rest of the nation. 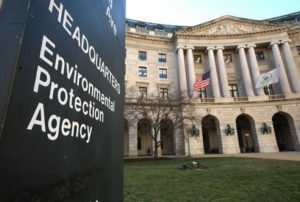 The EPA says that ZEV funding from VW is to be spent on things such as Level 2 charging at multi-unit dwellings, workplaces, and public sites; DC fast charging facilities accessible to all vehicles utilizing non-proprietary connectors; and brand-neutral education or public outreach that builds or increases public awareness of ZEVs. The $700 million remainder from the EMT funding could also provide opportunities for suppliers of other alternative fuels and infrastructures including natural gas, propane autogas, biofuels, renewable natural gas, and renewable diesel. Five global automakers have committed to rolling out rolling out millions of new plug-in electrified vehicles in the next few years – and that list doesn’t include Tesla Motors. Volkswagen, Daimler, BMW, Hyundai, and Toyota have made serious commitments this year to design, develop, and launch over 40 new models by 2025 and manufacture several million per year. That’s being driven by Tesla quickly gaining over 400,000 down payments on the upcoming Model 3. Another market pressure comes from the “Dieselgate” scandal, prompting governments in the U.S., Europe (primarily Germany), and Asia to tighten emissions rules and enforcement. Volkswagen was the first to make an announcement – that it would be introducing 30 new all-electric vehicle models by 2025, and would produce two-to-three million EVs per year by that time. Both Daimler and BMW announced a few months later that their global sales will include 15-to-25 percent all-electric and plug-in hybrid vehicles across their brands within 10 years. Combined, that would be about three quarters of a million up to one million new PEVs sold per year starting in about 10 years. Daimler previewed its new EQ electric car brand through the Generation EQ concept at the Paris Motor Show. For Hyundai, the all-electric Ioniq was scheduled for launch by the end of this year, with plug-in hybrid and hybrid versions to follow. The Korean automaker said it will roll out a new electric car model every two years to keep pace with how quickly electrified technology is emerging in the market. As for Toyota, in late November Toyota President Akio Toyoda said that he’ll be heading the company’s newly formed electric car group. Toyota had backed away from its previous alliance with Tesla and became committed to hydrogen fuel cell vehicles. More recently, the company has committed to hybrids, fuel cell vehicles, and PEVs to meet global regulations and to remain competitive in the global market. Toyota has been seeing breakthroughs in its battery technology, which seemed to help the Japanese automaker commit to rolling out new PEV models. Next week, part two: autonomous vehicles, infrastructure, urban mobility, and renewable fuels and energy. 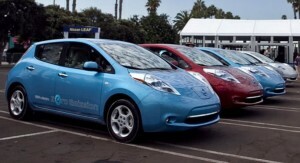 PG&E charging network: A years-long struggle over Pacific Gas & Electric’s initial plan to run a 25,000 electric vehicle charging project has ended with a California Public Utilities Commission decision scaling the network down to 7,500 chargers. On Thursday, CPUC unanimously supported what will be the country’s largest utility-led charging deployment. The “Charge Smart and Save” plan includes 7,500 EV charging points in workplaces, multi-unit residential buildings, and disadvantaged communities, and is capped at a cost of $130 million – much less than the $650 million that had been earmarked for the 25,000 unit plan. Electric Vehicle Charging Association, which represents EV charging companies, and other groups had asked CPUC to consider an alternative plan; they seem to be satisfied that they’ve been given mostly what they’d been seeking. PG&E will be limited to how much of the charging network it can own, which had been a key stumbling block in the past. “This proposed decision accelerates the adoption of EV charging in northern California in a way that preserves innovation and competition,” said Pasquale Romano, ChargePoint’s CEO. DiCaprio backs BYD: Former Fisker Karma advocate Leonardo DiCaprio has signed on to promote China-based BYD’s electric vehicles and zero emissions campaign. It comes at a time when BYD has been promoting its “Cool the Earth by 1°C” campaign for the creation of a “Zero Emissions Energy Ecosystem.” BYD and Oscar-winning actor DiCaprio will spread the word on plug-in cars, utility vehicles, buses, solar energy, renewable storage, and light electric monorail systems – all of which are being developed and produced by the company. DiCaprio launched a documentary on climate change, “Before the Flood,” in which he starred, at the Toronto International Film Festival in September; the film featured an interview with Tesla CEO Elon Musk. VW settlement in Canada: Volkswagen AG has agreed to spend up to C$2.1 billion ($1.6 billion) to buy back or fix 105,000 diesel vehicles and compensate owners over the emissions scandal, the automaker said. The German automaker also agreed to pay a C$15 million ($11.18 million) civil administrative penalty along with the Canadian settlement. That brings up the total to more than $18 billion to address diesel emissions issues in North America. VW expects to soon settle a deal on another U.S. recall involving buybacks or fixes for another 80,000 polluting U.S. diesel 3.0 liter Porsche, Audi, and VW vehicles. In a related story, German auto supplier Robert Bosch GmbH may be settling a lawsuit filed by U.S. owners related to the diesel emissions cheating scandal for more than $300 million. Bosch had previously called the lawsuit “wild and unfounded” after it was filed last year. VW owners have claimed the supplier had helped design the “defeat device” software that VW had been using for years to pass diesel emissions tests. Toyota’s environmental report: Toyota will be lighting up its new U.S. corporate headquarters in Plano, Texas, with solar power. That was part of the recently published 2016 North American Environmental Report, where Toyota outlined these positive impacts. Over the past year, Toyota’s North American operations have reduced water usage by nearly 100 million gallons. The company also announced plans for a 7.75 megawatt solar array at Toyota’s new headquarters campus in Plano, Texas, which will reduce annual carbon dioxide emissions by 7,122 metric tons, or the equivalent of the electricity used by almost 1,000 homes in a year. It’s all part of Toyota’s Environmental Challenge 2050, which focuses on completely eliminating all greenhouse gas emissions from its vehicles, operations, and supply chain. DOE grants: The U.S. Department of Energy has issued two grant funding programs involving advanced, clean transportation. Advanced Research Projects Agency-Energy (ARPA-E) announced that its Renewable Energy to Fuels Through Utilization of Energy-Dense Liquids (REFUEL) program will convert low-cost renewable energy into a transportable chemical fuel and use these fuels for transportation applications, while reducing production costs and environmental impact. Most selected REFUEL projects target the production of ammonia or its conversion to hydrogen or electricity. DOE also announced that $19.7 million, subject to appropriations, will be granted to support research and development of advanced vehicle technologies, including batteries, lightweight materials, and advanced combustion engines; and innovative technologies for energy efficient mobility. Its purpose is to accelerate energy efficient transportation and systems. Plug-in hybrids taking lead: Navigant Research predicts that the current level of electrified vehicles making up 3% of global sales will go up to 9% by 2025. That includes hybrid, plug-in hybrids, and all-electric vehicles. The research firm thinks hybrids and plug-in hybrids will switch places; with hybrids currently making up 73% of electrified vehicle sales; and by 2025, plug-in hybrids trading places, coming in at 72% of sales. The Chevy Volt has been leading the way in U.S. plug-in electrified vehicle sales and the Mitsubishi Outlander PHEV has been leading in Europe. That market presence will grow as automakers roll out more plug-in offerings, including new, larger vehicle body types. All-electric vehicles aren’t typically designed to go this route as much as plug-in hybrids tend to be, said the study. SDG&E trucks: San Diego Gas & Electric (SDG&E) has signed an agreement with XL Hybrids, a developer of hybrid truck solutions, to purchase up to 110 of its plug-in electric hybrid truck systems between 2017 and 2020. The XL Hybrids’ system will convert commercially available gasoline-powered trucks into electric hybrids, powered in part by energy generated by the sun and wind. The conversion of these trucks will deliver a 50% improvement in miles driven per gallon, reduce operating costs, extend the life of the vehicles, and increase the overall range of SDG&E’s fleet. Lucid Air launch: Startup electric carmaker Lucid Motors, formerly known as Atieva, unveiled its Air “executive sedan” last week, which the company says will be able to travel up to 400 miles on a charge. That power will be stored in a 100 kWh battery pack, and its motor will be able to hit up to 1,000 in horsepower. The company is taking deposits on the car now and plans to begin deliveries in early 2019. A company executive acknowledged it’s an ambitious plan to roll out its first car in two years, but also said the company is confident it will be reached. Boring concept: Tesla CEO Elon Musk tweeted several times over the weekend about his next grand, visionary dream: digging a below-ground tunnel for some sort of vehicle to deliver passengers. “Traffic is driving me nuts. Am going to build a tunnel boring machine and just start digging …” he posted on Twitter. That was followed with more. “It shall be called the Boring Company”, and another tweet read: “Boring, it’s what we do.” Will these be Hyperloop pods traveling at lightning speeds underground? We’ll have to wait to read more. Uber has been testing its autonomous, shared rides for the past month in California, and it may be blocked by the state government from continuing these trips. The California Department of Motor Vehicles on Wednesday sent the ride-hailing company a cease-and-desist letter demanding it must stop its self-driving car tests in the state. That hasn’t stopped Uber so far. On Friday, the company said it will continue the tests despite the DMV’s statement. The California Attorney General has threatened an injunction if Uber does not comply. Uber said that its semi-autonomous car system isn’t different from what owners of Tesla vehicles can do with the Autopilot driver assistance systems and that other automakers’ cars offer with parking and collision avoidance. Launched in Pittsburgh this past September, Uber’s pilot program has been testing about 100 self-driving Volvo XC90s plug-in hybrid SUVs and Ford Focus hybrid sedans, each one with an engineer riding along to monitor it and take control if necessary. Customers are allowed to decline rides in the self-driving cars if they choose and wait for a regular Uber ride. In San Francisco, the company is using 11 sensor-packed Volvo XC90s. Some are meant to pick up customers, and others will be used to log mapping and sensor research miles. In both Pittsburgh and San Francisco, the cars are not capable of being driven without active physical control and monitoring, according to Uber. The company said it has asked the DMV what is different about its technology compared with Tesla’s, which have an Autopilot partially self-driving feature. Uber said that it hadn’t yet received an answer. As least 20 other companies have applied for and received the DMV permits to test on California roads, including Google, Tesla, Ford and Nvidia. Google’s Self-Driving Car Project was renamed “Waymo” last week. While the company had previously been an advocate of fully autonomous vehicles without steering wheels or pedals, it may be backing away from that stance. A technology news media website, The Information, reported that the growing competitive climate with several companies entering the space has caused Google co-founder Larry Page to rethink his company’s mission. Waymo will be an independent unit within the parent company. Alphabet executives said the company is close to bringing its autonomous driving to the public and will reveal more later. While autonomous vehicles used to be nothing more than a testing project for several automakers and tech companies, lately it’s become a much more viable sector for commercializing a new technology. Page is concerned that Alphabet and Google could be left behind. Google may be in a better position to provide technology to automakers rather than go through the capital-intensive, lengthy, and complex regulatory process of building and selling its own autonomous cars. It may have been behind Chris Urmson leaving Google this year. Urmson, a longtime champion of fully autonomous vehicles as he headed Google’s self-driving car project for years, left in August. The New York Times had reported that Urmson wasn’t happy with the leadership of John Krafcik, formerly the head of Hyundai America, who was hired in 2015 to be chief of the project. The Times report also said that Urmson had argued with Google co-founder Larry Page over where the division was headed. Urmson may be starting his own autonomous car software firm, according to media reports. Fiat Chrysler Automobiles announced yesterday that it has completed building 100 minivans that are being outfitted with autonomous vehicle equipment for the new Waymo subsidiary. The Chrysler Pacifica Hybrids recently were completed at the automaker’s Windsor Assembly Plant. Google parent Alphabet also has been in talks with FCA about starting up a ridesharing service using Chrysler Pacifica minivans. Google would like to utilize a semi-autonomous version of the Chrysler Pacifica minivan that it’s developing with FAC for the new service as early as the end of 2017, according to sources familiar with the matter. The ridesharing service will be tied into the 100 Pacificas that the two companies agreed in May to develop together – and that FCA has completed. They’ll be using the plug-in hybrid version of the Pacifica minivan during the self-driving testing process. FCA has been enthusiastically marketing the new plug-in hybrid version, which it calls the Pacifica Hybrid. The automaker will reveal an all-electric version of the Pacifica during the CES electronics show in Las Vegas next month, sources said. FCA has been looking for ways to roll out more zero emission vehicles as the global regulatory front tightens up on emissions. Other automakers, including Volkswagen, BMW, Ford, Toyota, and General Motors, have made serious investments with partners this year to stride forward in ride-hailing, ridesharing, and carsharing mobility services. Tesla Motors may not like to see the presence of a startup firm that has taken the name “Tesloop,” which is offering Tesla vehicles for share rides to its customers. In October, Tesla said that it wants to launch its own shared ride service and doesn’t want to see its electric cars used outside that network. Tesloop, based in Los Angeles, offers city-to-city shared vehicle trips. The startup seems to be structured more like longtime transportation companies than ride-hailing firms Uber and Lyft. The Tesla vehicles used in the Tesloop fleet have a California TCP number on the rear bumper, which means the company is certified as a commercial passenger carrier in the state. The company has to follow commercial vehicle insurance and driver guidelines that other transportation service providers have to follow; including more extensive driver background checks than Uber and Lyft so far have to comply with. In October, Tesla announced that it will not allow any of its electric vehicles to be used by owners to drive for ride-hailing companies such as Uber or Lyft. While sharing rides with family and friends is fine, the company said it doesn’t want to see its self-driving vehicles used for revenue purposes outside of its own Tesla Network, which will be launched later on. “Please note that using a self-driving Tesla for car sharing and ride hailing for friends and family is fine, but doing so for revenue purposes will only be permissible on the Tesla Network, details of which will be released next year,” the company said. Tesloop works with drivers now, which it calls “certified Tesloop Pilots,” but the firm is enthusiastic about tapping its autonomous systems as soon as possible. “As autonomous car technology improves over the next three years to the point where it is safer than human drivers, we expect this to become a common reality,” the company said on its website. As for now, trips in a Tesla Model X and Model S are driven by a “certified Tesloop Pilot” and carry passengers to points throughout Southern California and out to Las Vegas. As a marketing message, the company sells $39 trips between cities. The company will be spreading its network in the San Francisco, San Diego, and Santa Barbara areas. Vacation spots like Palm Springs are emphasized. The company uses Tesla’s Supercharger network of fast-charging ports. China has ambitious plans to continue being the leading global market for plug-in electrified vehicles, and would like to play a leading role in autonomous vehicles – according to a planning document that was revealed recently in Beijing. By 2030, the report expects to see “new energy vehicles” (plug-in hybrid and all-electric vehicles) make up 40 percent of the 38 million new vehicles that will be sold in China during 2030, or about 15 million units. The report estimates that semi-autonomous vehicles, called “partially autonomous,” will make about 50% of new vehicle sales in China by 2020. “Highly-automated” cars (close to being fully automated) will make up 15% of sales by 2025; and fully autonomous vehicles will account for 10 percent of new vehicle sales by 2030, according to the report. That would mean four million fully autonomous vehicles would be sold each year. Things are already in the work in China – and in the U.S., in what may also end up in China. Chinese company Baidu is teaming up with Nvidia to use artificial intelligence to building a platform for self-driving cars. LeEco, NextEV, and Lucid Motors are tapping into cutting-edge autonomous technology and talent directly from California. That may end up in vehicles sold the in the Chinese market, too. China’s policies also include some ambitious emissions reduction targets through these measures. It also encourages foreign countries to share their best electrified and autonomous vehicle technologies with Chinese partners – or be blocked from having access to the market. General Motors has found out recently how serious the Chinese government takes guidelines such as these. The automaker, which plays a large role in China’s auto market through its partnership with Chinese companies, is under investigation by the Chinese government for potential anti-trust violations. Forbes thinks that the risk of serious damage is low, and that China uses such tactics to keep foreign companies a little bit off balance and to follow China’s lead. EPA opponent appointed: President-elect Donald Trump hit hard last week in his Environmental Protection Agency appointment – naming Oklahoma Attorney General Scott Pruitt as administrator, which will need to meet Senate approval. Pruitt has fought the EPA in lawsuits over several of its policies and rules, including slashing greenhouse gas emissions from power plants, a water pollution measure, and the principle of reducing carbon dioxide to protect public health. He hasn’t taken on the fuel economy and emissions standards, but is expected to go the same route; and he’s been a strong advocate of fossil fuel industries. As the attorney general of Oklahoma, Pruitt has also opposed the White House over “Obamacare” health care regulations. He’s opposed to the federal government pushing its power over states, and thinks that climate change is a hoax. The Trump administration is expected to block the EPA’s decision to finalize approval of the 54.5 mpg by 2025 standard with Pruitt at the helm, reversing the EPA’s decision. If that doesn’t work, Trump is likely going to take the issue to Congress for support. The Alliance of Automobile Manufacturers lobbied Congress last week to reverse the EPA decision, but failed to gain enough support before Washington closes down for the holiday season. They’ll have to wait until after January 20, the day of Trump’s inauguration. Environmental groups and Democratic legislators are preparing to block the appointment of Pruitt in the first part of 2017. Musk meeting Trump: Tesla CEO Elon Musk is expected to attend a meeting of technology leaders hosted by President-elect Donald Trump. Other invited executives include Amazon CEO and founder Jeff Bezos, Oracle CEO Safra Catz, and heads of Facebook, Apple, Amazon, Alphabet/Google, Intel, and Microsoft. Musk, who also chairs the board at SolarCity and leads SpaceX, is likely to be attending, The Wall Street Journal reported, citing people familiar with the matter. The meeting will take place on Wednesday at Trump Tower in New York City, according to Recode. Musk, who endorsed Hillary Clinton days before the election last month, is in a position faced by several other executives as the administration changes hands next month and companies look for workable business relationships in the capitol. General Motors CEO Mary Barra has agreed to be part of an economic policy team expected to meet frequently with Trump after he takes office on government policy and its impact on economic growth, job creation, and productivity. Trump had taken on automakers, especially Ford, for leaving the U.S. to open shop in Mexico and overseas. GM has plants in Mexico and a lot of its business is taking place now in China. GM has had strong relations with President Obama ever since the federal bailout in 2009. Bolts being delivered: Chevy Bolts are on their way to dealerships before the end of the month, according to a photo posted on GM-Volt.com. The image was posted last week after being taken on I-75 as a Bolt-loaded carrier truck rolled down the highway in Lake Orion, Mich. They’ll first be delivered to California and Oregon by way of trucks and trains. 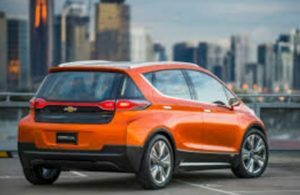 Several Bolt buyers have received announcements that their all-electric car is being assembled, assigned a VIN, and has reached status 4000, meaning that it’s ready to be shipped, according to GM’s ordering system. Analysis of EPA fuel economy rules: The University of Michigan Sustainable Worldwide Transportation issued a paper on the EPA’s Nov. 30 approval of the 54.5 mpg by 2025 standards. The research center said that under the right vehicle blend of cars and trucks, such as the model year 2015 mix of 57.4% cars and 42.6% light trucks, significant fuel consumption reductions would be accomplished. Compared to a possible mix of 40% cars and 60% light trucks without the new 2022-2025 standards, the fuel saved by the new vehicles during the first four years under the 2015 ratio would be about 3.3 billion gallons of fuel, according to the paper. Pacifica electric: Fiat Chrysler Automobiles will be announcing an all-electric vehicle based on the Chrysler Pacifica minivan at CES in Las Vegas next month, according to confidential sources who spoke to Bloomberg. The company is also working on an electric Maserati sports car, according to people familiar with the matter. FCA declined to comment. Formerly called Consumer Electronics Show, CES has become an important event for launching advanced technologies by automakers and electronics companies. FCA CEO Sergio Marchionne had avoided developing electric cars for years due to concerns over the cost of investment and marketing, citing losses from the Fiat 500e electric car. Conditions have changed in the post-Volkswagen diesel cheating scandal as stricter emissions rules are being enforced. The company displayed the plug-in hybrid version of the Pacifica minivan at the LA Auto Show. 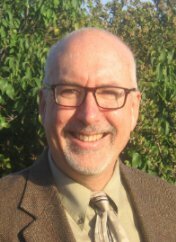 Two more events coming up: Thanks to Richard Battersby, Fleet Manager at City of Oakland and Coordinator and Executive Director of East Bay Clean Cities, for contributing two more significant clean transportation events coming up next year: EV Roadmap 10 – June 20-21, 2017 in Portland, OR. The EV Roadmap Conference has established itself as one of the leading electric vehicle conferences in the United States. Founded by Portland General Electric and Portland State University, and now produced by Drive Oregon, the conference provides a “graduate course” in electric vehicle deployment. Green Transportation Summit & Expo (GTSE) – April 11-12, 2017 in Portland, OR. The Green Transportation Summit & Expo (GTSE) is the region’s premier fleet modernization and alternative fuels event. GTSE events offer the best combination of information-packed sessions, prominent national and regional speakers, and the latest technologies from industry leaders. Hybrids make WardsAuto list: Three electrified vehicles made the 2017 best engine awards from WardsAuto. The Chevy Volt returned from last year’s list and was joined by another plug-in hybrid, the Chrysler Pacifica Hybrid. The Honda Accord Hybrid was the only hybrid vehicle included. Three electrified vehicles made the top 10 list last year, too, but the Volt is the only one of those three to return to this year’s list. The other seven vehicles on the list have turbocharged engines as automakers focus more on fuel efficient options tied to government fuel economy and emissions rules. Turcharged engines taps into forced induction and direct fuel injection and allows for downsizing engines, according to WardsAuto. This was the first time that none of the top 10 featured a V-8 engine since the awards started in 1995. 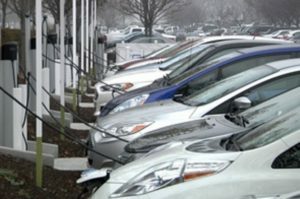 EV rebate program: Massachusetts now has $12 million in funding allocated to the Commonwealth’s electric vehicle (EV) rebate program, Massachusetts Offers Rebates for Electric Vehicles (MOR-EV). Consumers can qualify for rebates ranging from $750-$2,500 on the purchase or lease of more than 25 qualifying new vehicles, including battery-electric, plug-in hybrid electric, and fuel cell vehicles. Since June 2014, the MOR-EV program has issued or reserved over $6 million for 2,931 vehicles, cutting the state’s greenhouse-gas emissions output by an estimated 8,123 short tons annually. “With the continued growth and consumer choice for electric vehicles, our administration is committed to working with all stakeholders to promote the host of positive benefits electric vehicles offer,” said Gov. Charlie Baker. There’s one thing I can guarantee you about 2017: industry conferences and events are going to be very interesting. The U.S. Environmental Protection Agency’s abrupt decision on November 30 to leave in place its greenhouse gas emissions standards for light vehicles through the 2025 model year before President-elect Donald Trump takes office, is guaranteed to be discussed during speaker panels next year. That, plus decisions by the Trump administration and new agency heads on the fuel economy and emissions standards, electric vehicle tax incentives, climate change, and the very existence of the EPA, will keep people on the edges of their seats. The image shown above comes from 2016 Sustainable Transportation Summit, which was held in July at the Washington Convention Center. Hosted by the U.S. Department of Energy’s Office of Energy Efficiency and Renewable Energy (EERE), the first ever Sustainable Transportation Summit brought together transportation and mobility leaders to discuss the technology, policy, and market innovations that hold the potential to shape the transportation system of the future. Green Auto Market will report on scheduling of the 2017 conference. Formerly called Renewable Energy World Conference & Expo North America, the event has a proven track record as one of renewable energy’s leading conferences. The event offers insightful discussions and presentations during technical sessions related to technology, markets, business strategies and policy covering the wind, solar, biomass, hydro, geothermal, ocean/tidal/wave, biopower, bio-fuels hydrogen, and energy sectors. The National Biodiesel Conference and Expo is a gathering of biodiesel stakeholders: producers and marketers, fuel distributors, biodiesel consumers, feedstock growers and processors, farmers, local, state, and federal government officials, and fleet managers. You will have opportunities to learn everything from biodiesel basics, RFS compliance mistakes, and ASTM specification changes to what to expect with a new administration. This annual gathering of the global cleantech innovation community offers a comprehensive, three-day program along with exclusive opportunities to network, learn, and get deals done. Startups and growth companies can find potential investors and partners, and attendees can find mentors and advisors. Corporate executives, start-up and growth company CEO’s, investors, government agencies, and other players will be attending. The Summit provides a unique opportunity for Clean Cities Coalitions and leaders in the clean transportation industry to network and build partnerships with each other, and with key Congressional and Administration policymakers in Washington, DC. Attendees will be able to meet with leaders of the Trump administration and key Congressional leaders; learn how you can benefit from investments from the Volkswagen settlement; network with the nation’s Clean Cities Coalitions and top industry leaders; and participate in Roundtable discussions with DOE, EPA, DOT, USDA, and DOD. Attendees will learn how renewable methane can help California achieve GHG emissions reduction objectives with state measures, integrate sustainability goals for organic waste; accelerate development of practical, large-scale storage for renewable power; facilitate the creation of a low-carbon hydrogen supply for a fuel cell future; and create economic development opportunities for disadvantaged regions. You can also go on a tour on February 22 to learn how an anaerobic digester is helping Van Steyn Dairy tackle the carbon footprint created from their 700 cattle and about 100,000 lbs. of daily manure output, as well as create renewable power for about 125 homes. The U.S. Department of Energy’s Advanced Research Project Agency-Energy’s (ARPA-E) annual summit bringstogether experts sit at the forefront of energy innovation and entrepreneurship. It underscores ARPA-E’s mission of advancing transformative energy technologies to improve U.S. energy security and economic competitiveness. Now in its eighth year, the Summit draws more than 2,200 participants from across the U.S. and 25 countries to discuss cutting-edge energy issues and cultivate relationships with leaders from industry, government, and academia to advance technologies towards deployment. Held in conjunction with The Work Truck Show, the Green Truck Summit is considered to be a premier conference on clean energy innovations for commercial vehicles. Experts will share perspective on how the industry can make an immediate impact on greenhouse gas and criteria pollutant reduction. They’ll be representing regulatory agencies, fleet managers, commercial vehicle manufacturers, and stakeholders from various industry trade associations and professional societies. Topics will include: creating an efficient path to zero-emission commercial vehicles; effects of Phase Two greenhouse gas regulations; and, renewable fuels analysis and vehicle life cycle impacts. NGV Global is the once every two year global gathering of NGV strategic, commercial, and technical executives – presented by the world’s industry association, NGV Global. Natural gas, whether CNG, LNG or RNG (renewable natural gas), continues to broaden its appeal and range of applications as a fuel for transportation. NGV Global looks forward to delivering a multi-stream event that incorporates road, water, and rail sectors. The 2017 NGVAmerica Annual Meeting & Industry Summit in the U.S. is still in the planning stage. NAFA Fleet Management Association’s annual event continues to be the preeminent event for the fleet management community. For this year, additions to the program include: a keynote presentation focused on Leadership and Innovation; CAFM graduate luncheon on Wednesday; and a new Sustainability Pre-Con for Monday. This year will celebrate 60 years since the start of NAFA. Good governance, full disclosure, stakeholder engagement, and performance are all hallmarks of a truly sustainable and profitable 21st century corporation. Across the globe, major corporations are integrating innovative sustainable solutions and adding value for investors and consumers, while protecting the health of the planet and its people. The conference brings together leaders who have achieved the highest standards on these core issues and reaped the greatest profits and discovered that, sustainability is the bottom line. This event provide an accessible and comprehensive setting where both industry and the general public can discover all of the existing alternatives to the way they use energy and transportation. It also has the mission of motivating everyone to take action to support California’s groundbreaking clean car policies. It also offers speaker panels and an extensive ride and drive. Similar events will be held in Sacramento on April 19, 2017, and the Bay Area AltCar event will soon be scheduled for the Spring of 2017. North America’s largest solar trade show brings together over 18,000 solar professionals and 600 exhibiting companies. SPI is powered by the Solar Energy Industries Association (SEIA) and the Smart Electric Power Alliance (SEPA). The event held its inaugural show in 2003 and was designed to serve and advance the solar energy industry. VERGE is GreenBiz.com’s annual conference and expo focusing on the technologies and systems that accelerate sustainability solutions in a climate-constrained world. The annual event brings together a diverse, cross-sector audience representing the world’s largest companies, technology startups, energy producers and consumers, commercial real estate owners and the public sector, creating a unique ecosystem focused on opportunities for business, the environment and society. VERGE focuses on transformative, scalable and practical solutions across six tracks. The 30th International Electric Vehicle Symposium & Exhibition is the world’s largest trade fair and conference event for electric mobility. Every 12 to 18 months, researchers, government representatives and industry experts from around the world gather to get the latest picture of all forms of electric mobility, its technologies and other issues, such as battery and fuel cell drives, and discuss new trends. The event is sponsored by AVERE (the European Association for Electromobility), Electric Drive Transportation Association, Daimler, Bosch, Mahle, and others. Produced by Bobit Business Media, the publishers of Automotive Fleet, Heavy Duty Trucking (HDT), Green Fleet and Work Truck, is designed for fleet professionals who oversee vehicle fleets of all sizes and types in all industries and are looking to improve operational efficiencies. It replaced the Green Fleet Conference & Expo, and the 2017 dates have yet to be set.